Located in DuPage County, Illinois, Willowbrook is a small village with a population of just about 9,000. Situated just about 23 miles from Chicago, Willowbrook shares the same weather and climate of the Windy City. With families slowly getting larger and land becoming more expensive, not many Willowbrook residents can afford buying more space to expand their houses. So many look down into their basement. Deadline for FEMA Assistance Ends Next Tuesday! DON’T MISS OUT! Next Tuesday, July 9, is the deadline to register for FEMA assistance. Illinoisans who were affected by the April 16 to May 5 severe weather and who have not yet registered for federal disaster assistance have only one week left to call FEMA’s toll-free registration line at 800-621-FEMA (3362) to find out if they are eligible for disaster assistance. Visit //www.fema.gov/disaster/4116 for the latest news and to find out where you can go this weekend for valuable information and assistance. We are on a mission to get you to think about your sump pump. That's probably not something you think about every day, but we want to save you from a wet mess in your basement! And when you schedule your FREE estimate before April 30th, you will save 10% on all primary and backup pump systems, as well as ejector pumps. Dry, healthy basement adds useable space and value to your home. //www.permaseal.net Roy Spencer, owner and president of Perma-Seal, talks about Perma-Seal products and how dry, healthy basements add useable space and value to your home. Perma-Seal is known best for basement waterproofing. That's because we've been working hard at it for over thirty-four years. We've installed more sump pumps than I can count! Did you know we're also structural foundation repair specialists? Or that we can seal your damp, musty crawl space? And don't forget basement plumbing! You can trust our licensed professionals to get the job done right. Call Perma-Seal today at 800-421-SEAL. Our team is ready to wow you with their expertise and dedication to superior customer service. Whether you're in need of a Crack Repair, a Battery Backup Pump, or your water heater needs replacing, we have an affordable solution for you. The fact is, Perma-Seal is the proven solution. The temperatures in Chicagoland and Northwest Indiana have been dropping every week, and that can only mean one thing… winter is right around the corner! While no one wants to think about sub-zero readings or snowstorms just yet, it is a good time to think about getting your home ready for the winter. In fact, autumn is the perfect time to prepare your home for cold weather! There are several steps you can take to keep your house warmer and healthier. 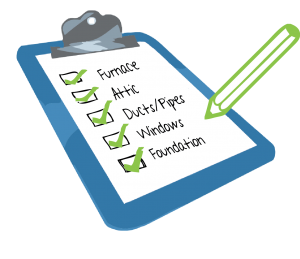 First, make sure your furnace or heating system is cleaned and serviced, as that’s something you really can’t afford to be without. Next, check your attic. Adding insulation to your attic could be the most cost-efficient way to cut home heating costs. Any ducts, wires or pipes that penetrate the wall, ceiling or floor also have the potential to let the cold in. And don’t forget to check around your doors and windows for leaks or drafts. A "Perma-Sealed" Basement Adds Value To Your Home - Reliable Sump Pumps, Crawl Space Solutions, Foundation Crack Repair, New Basement Windows, and Eliminate Sewer Back Up. Call Now - 800-421-SEAL! Smiles went all around at the BBB’s Annual Golf Outing. From left: Paul Spinella, Director of Sales, Matt Kmoch, Sales Manager, Steve Bernas, BBB President, Jim Montalbano, Sales Manager, and Dave Maas, Marketing Creative Coordinator. Perma-Seal Basement Systems’ Sales and Marketing Tribal Members joined the Better Business Bureau of Chicago and Northern Illinois for their yearly golf outing on Thursday, August 11th. The 22nd Annual Integrity Golf Classic, presented by the BBB, was held at the Twin Orchard Country Club in Long Grove, Illinois. Perma-Seal’s foursome team was nearly awarded Longest Putt of the Day, but was defeated by mere inches. Perma-Seal has an A+ rating with the Better Business Bureau, and has been awarded their coveted 2016 Torch Award for Marketplace Ethics. For more information about the BBB, visit www.bbb.org/chicago/. Do what tens of thousands of other smart homeowners have done and get a backup system for your sump pump. You can't control the weather, prevent a power outage, or predict when a mechanical failure will happen, but a Battery Backup Pump System can get you prepared for all three. Don't be a victim, take control now. For over 30 years, Perma-Seal has helped thousands of homeowners protect their homes by keeping their basements dry. Our evaluation is free but your peace of mind is priceless. Want some more good news? 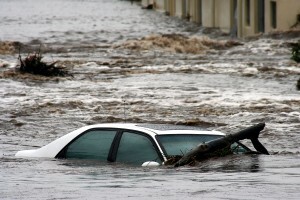 Call by April 30th, 2012 and you'll receive 10 percent off all primary and backup sump pump systems*. Wet basements and water seepage, foundation settlement issues or damp and moldy crawl spaces, Perma-Seal has the solution. We are Chicagoland and Northwest Indiana's trusted basement waterproofing contractor and foundation repair specialist. At the beginning of every year, we like to hang up a brand new, empty calendar and start filling in those important dates to remember for the upcoming year. We always start with the fun and exciting dates, like anniversaries, birthdays and vacations. However, we also have to remember our yearly appointments to go to the dentist, get the furnace and air conditioning looked at, the fluids in our cars changed, and even your annual physical with your doctor. While you are writing down all of the necessary things to be checked annually, do not forget about an important part of your home, your basement. A dry, healthy basement is a very valuable asset and is even more vital when you’re basement is finished. The small cost of maintaining your downstairs is nothing compared to the hassle and heartache of cleaning up after it has been flooded with a couple inches of water from a heavy rainstorm. For the past 32 years Perma-Seal has created happy, healthy basements all over the Chicagoland area. Those basements (and their valuable contents) are very thankful! Over 250,000 families have trusted Perma-Seal to protect their treasured items, and so should you. Take advantage of our limited time offer. Take 10% off (up to $300) all services purchased by January 31,2012. Some exclusions apply. See your Perma-Seal consultant for complete details. May not be combined with any other offer, promotion or discount. Perma-Seal Basement Systems have been waterproofing basement in the greater Chicago area for theh past 30 years. Call by June 30, 2011 to receive a free inspection of your basement, and sump pump and you will be entered to win two tickets to Beyond the Ivy. Contact us today at 800-421-SEAL or visit //www.permaseal.net to learn more on how we can help waterproof your basement. Lou Manfredini, a National Home Improvement Expert, discusses Perma-Seal,Basement Systems of Chicago, about their work with basement waterproofing solutions and sump pump systems . 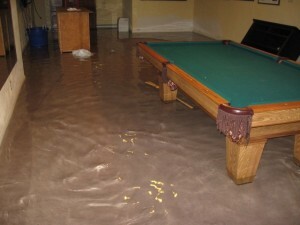 Contact Perma-Seal today at 800-421-SEAL or visit //www.permaseal.net for a free estimate on your wet basement problems. Perma-Seal talks about basement waterproofing on Chicago's Bring It Home that airs on WGN TV and CLTV throughout the month of March. Roy Spencer of Perma-Seal talks about the steps to finishing your basement, which starts with a foundation inspection to ensure that there is no water seepage or potential leaks. 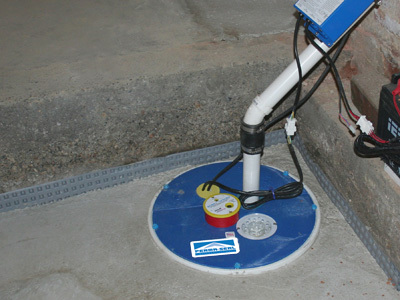 An adequate sump pump with a battery backup is essential for basement protection, while their Wall Liners can help keep the basement warm and dry by controlling dampness and adding some insulation. The now dry basement can be fitted with waterproof basement flooring and basement windows to give to create the proper setting for a finished basement. Chicago area homeowners have the opportunity to save 10% on all primary sump pump systems and backup sump pumps with Perma-Seal's March Sump Pump Sale. For more information about basement waterproofing and Sump Pump Systems, contact Perma-Seal at 800-421-SEAL, or through our website at //www.permaseal.net. 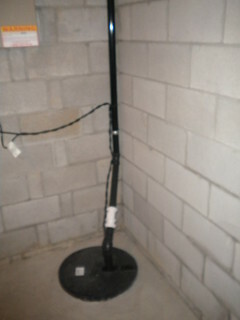 Your sump pump is the most important part of your basement waterproofing system, but the fact is, all sump pumps fail. It's not a matter of IF, but WHEN. Chicago area homeowners have the opportunity to save 10% on all primary sump pump systems and backup sump pumps with Perma-Seal's March Sump Pump Sale. For more information about basement waterproofing, sump pump systems, or crawl space repair contact Perma-Seal at 800-421-SEAL, or through our website at //www.permaseal.net. Perma-Seal Basement Systems is celebrating 31 years of basement waterproofing, foundation repair and crawl space repair in Chicago and the Chicago Metro Area. In celebration of this great accomplishment, and as a thank you to their valued customers, Perma-Seal is taking 10% off of their products and services. The sale begins on January 1, and absolutely ends on January 31, 2011. Perma-Seal can be reached at 800-421-SEAL, 630-512-0002, or on through their website at www.permaseal.net. 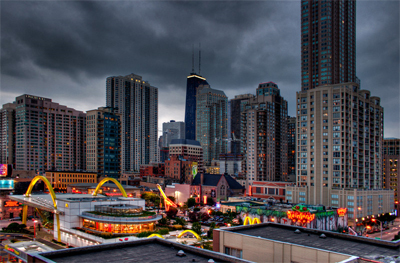 Perma-Seal is Chicago's #1 Basement Waterproofing and Foundation Repair Company. 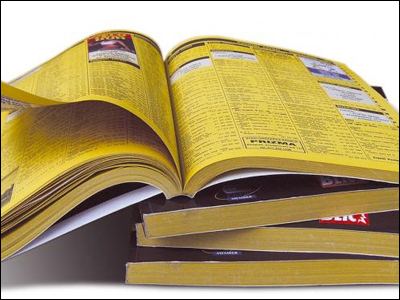 They have been in business since 1979 and have won numerous awards for their excellent service. Perma-Seal serves all of Chicagoland and parts of Northwest Indiana. With all of the recent storms, rain and flooding that we’ve had recently in the Chicago area, we’ve had a lot of people contact us about their basement. Many called as they saw their basements filling up with water. No one really plans on waiting until their basement is flooded to take action, but it often happens that way. Most people don’t think of their basement flooding, until they are knee-deep in water. Removing water from your basement and cleaning up a big mess can cost a lot of money and be a big headache. You don’t have to spend thousands on a complete basement waterproofing system to make sure that you’re not caught in a bad situation. On July 16, 2010, Lou Manfredini featured one of Perma-Seal's (Chicago) products on NBC's Today Show (Today's Home). He says that it is a must have when the power goes out, and we couldn't agree more. 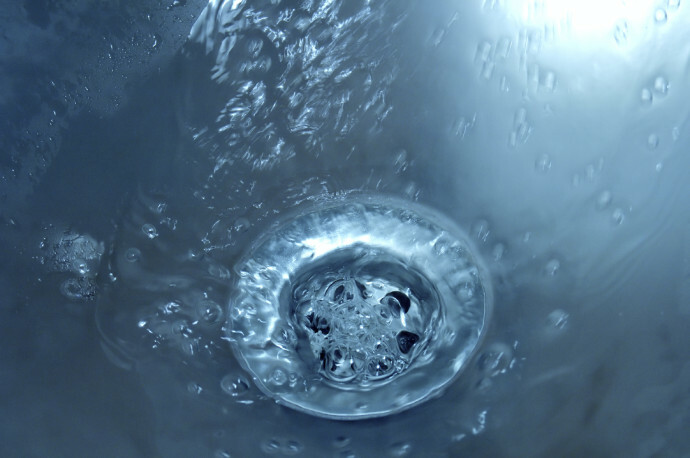 Ordinary sump pumps fail when a storm causes your home's electrical system to fail. You need a battery backup to back you up. No one wants a flooded basement - make sure that you have a sump pump that will work under any condition. Heavy rainfall in Chicago means that Perma-Seal is flooded with phone calls. Many Chicago area homeowners are desperate to find a solution to their wet and leaky basement. 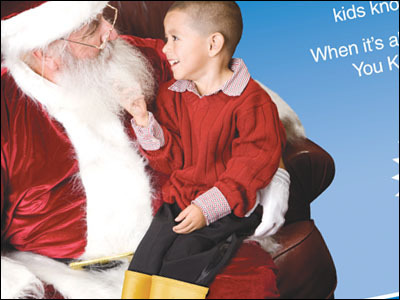 If you need basement waterproofing work to be done Perma-Seal is Chicago's #1 basement waterproofer. Many try to find a quick fix to the problem. But there is a great disparity in the quality of repair methods, warranties and pricing. Perma-Seal has worked very hard over the past 30 years to provide the best value. They have done the most permanent repairs and simple, transferable warranties at a fair price. Two thunderstorms on Friday brought heavy rainfall to the area. With the the overnight rainfall and probability of more storms in the afternoon and evening, many residents in the Chicago Metro area are seeing road closures (including parts of the Eisenhower and Kennedy Expressways), evacuations, and people and vehicles stranded on roadways. When it rains like this, our office is always flooded with calls. Right now we are experiencing an extreme number of requests from homeowners with flooded basements. Rest assured that we are working tirelessly to return all inquires. Leaky basements can be a huge headache, and they pose a health risk when they are damp. You need to fix your cracked basement walls and foundation cracks before it becomes a bigger problem. For over 30 years Perma-Seal Basement Systems has been the Chicago's #1 basement waterproofing and foundation repair contractor. We can permanently seal and waterproof your basement and can solve all your wet basement problems. For over 30 years Perma-Seal has been the leader in keeping homeowners’ basement walls and floors dry, now we’re excited to introduce a whole NEW LEVEL OF DRYNESS: the Active Moisture Management System. Concrete walls and floors, once sealed and installed with an appropriate drainage system, are an effective barrier against seepage even during the heaviest of downpours. Moisture vapor however can still penetrate even the best concrete and cause excess humidity in a basement or crawl space. High humidity levels lead to mold, mildew, mustiness, and odors. On June 1, 2009, the Better Business Bureau (BBB) began using an improved rating system, rating businesses based on letter grades A+ through F. The new letter grades replace the BBB’s previous “satisfactory” or “unsatisfactory” ratings. Perma-Seal Basement Systems has been accepted as a BBB Accredited Business by the BBB of Northern Indiana. If a business has been accredited by BBB, it means that the Better Business Bureau has determined that the business meets BBB accreditation standards, which include a commitment to make a good faith effort to resolve any consumer complaints. 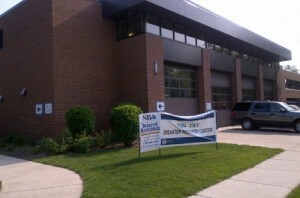 Perma-Seal Basement Systems is pleased to announce the opening of their newest office in East Dundee, Illinois, in an effort to provide better service to the Northern Suburbs and Chicagoland area. Between 2006 and 2007, an increase of over 35% in service needs was experienced in this area. Therefore, in an effort to reduce commute times and provide more scheduling flexibility, Perma-Seal opened its newest location at 1090 Rock Road in East Dundee, IL. This service facility will immediately house a staff of 12 employees and 4 trucks, with the potential for growth as the customer base continues to expand. Perma-Seal Basement Systems of Downers Grove, IL is busy, busy, busy after last week’s rains, high winds, flooded streets and flooded basements. As of Sunday afternoon, Perma-Seal’s office staff had set more than 2,300 appointments for customers wanting to have their basements waterproofed to avoid further problems during the next rainstorm. The staff fielded more than 500 internet inquiries regarding flooding, waterproofing, and general requests for assistance from homeowners throughout the Chicagoland area.